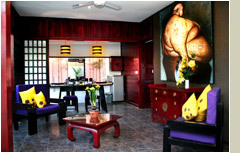 Bonsai Villas offers spacious uniquely designed Asian and Japanese style fusion accommodation. Built with natural teak timber and tasteful antique furniture gives a serene relaxing atmosphere. In this quiet haven you will feel a sense of special friendliness free from everyday pressures. Relax and enjoy your stay waited on 24 hours a day by our experience staff. Bonsai Vilas are strategically situated in the central hub of Seminyak activities; beaches, spa’s, restaurants, nightlife and exciting shopping. 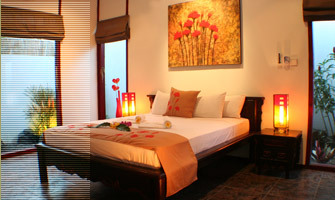 Bonsai Villas are ideal for honeymooners or couples wishing to rekindle their romantic flame. Bonsai Villas management and staff look forward to welcoming you.